Everything WILL be awesome, won't it? Dolby Vision, the company's TV enhancement technology, has been a long time coming - we first heard about it at last year's CES. However, a new partnership with Warner Bros. means the wheels are finally in motion in terms of getting it out to consumers. Dolby Vision is a start-to-end upgrade for all kinds of content, from streaming video to games: the company promises it brings "astonishing brightness, incomparable contrast, and captivating colour" right into your living room. For that to happen it needs to be supported during filming, and by your television set, and at every point in between. With Warner Bros. signing up, we might finally be able to test it out for ourselves in the not-too-distant future. 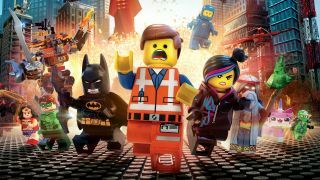 Existing movies can be remastered with the tech, too: the first WB films to get the treatment will be The Lego Movie, Edge of Tomorrow and Into the Storm at some point this year. Stand by for "greater brightness in a fuller palette of rich new colours and deeper nuanced darks never before seen on TV." Dolby describes Vision as "a complement to both HD and 4K" and says it wants to get content in place before Dolby Vision-enabled TVs appear later this year. We'll have to wait and see just how many more partners it can get on board. "By leveraging Dolby Vision to unlock artistic intent in a completely new way, we are able to provide home audiences around the world with dramatically enhanced picture quality that fully engages their senses and brings Warner Bros. movies to life in their living room," said Jim Wuthrich, President, Americas, Warner Bros. Home Entertainment.